Early on Jonathan was an inquisitive, curious soul…an avid reader who showed skill at communicating with words through the pen. At the young age of nine, yes, nine! Jonathan read an article in the newspaper and the all the follow-up letters to the editor about an issue that caught his interest. This subject … this “problem” had been written about in the newspaper several times before, yet no one seemed to respond or offer any solution. >>> The “letter to the editor” Jonathan wrote (typed) was not your average, regular complaint, or personal response, but a more involved, thought-through and detailed step-by-step guide offering the sales guidance that the company in the story had been missing all along. After speaking with the company representatives, the newspaper editor forwarded Jonathan’s complete letter to the company to implement the detailed and unconventional steps. The company representative agreed the idea was unique and very unconventional but wanted to give it an opportunity. The result was astounding! The company implemented the exact steps and in just 3 weeks they showed an increase in their sales by over 1200 percent… All this happened just by following the unconventional steps outlined by this nine year old. The editor of this major newspaper also responded with a letter back to Jonathan expressing that he was surprised that no one had come up with such a unique and unconventional solution. The editor also inquired in his letter about which agency this writer worked with. All the time the editor not knowing that Jonathan was only nine years old. What was the “problem”? … What was the specific industry? … What was the issue that so intrigued Jonathan? And what was his involved, thought-through and detailed step-by-step unconventional guide offering the profit producing RESPONSIVE results that this companies product had been missing all along? Back in 1983, Jonathan came to New York City … but for only two weeks. After several persuasive telephone conversations with Gene Schwartz, yes, the actual Eugene Schwartz… Gene agreed to mentor Jonathan daily if he would make the daily trek at dawn to Gene’s home. This intensive and focused day-by-day mentoring training with Gene would continue for 10 days out of the limited 14 days would be in New York before Jonathan’s scheduled departure. What Schwartz and Ogilvy both said above essentially is that I am the copywriter who has studied diligently and has acquired the working knowledge to help you the most. Over the last four decades I have demonstrated this knowledge by helping people just like you make more profits selling their products and services in direct response print sales letters, display print ads, postal mailings, magalogs, catalogs, online digital, websites, in audio, in videos as well as DRTV – Direct Response Television short form also known as infomercials, and now also in emails, and in text messages. If it’s time now for you to take your business to the next level… become a new client. 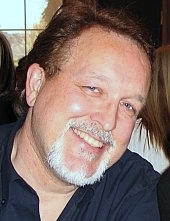 Jonathan (and Two Comma Copy – a non-traditional agency) has quietly generated responsive product and service sales work over the last four decades to-date over two billion dollars in sales so far for various companies in financial, banking, traditional and alternative health, pharmaceutical and many other industries. Now this unconventional edge is available to you whether you are a company of one, you have a small company of a few or even a larger corporation with many – Professional direct response marketing and copywriting advert expert bringing you over four decades of sales producing in various advertising mediums like: print, audio, and/or video throughout: Australia, Japan, South Korea, the United States, United Kingdom, Hong Kong and mainland China, Canada, France, Spain, Portugal, Sweden, Finland, Norway, Mexico, Argentina, Chile, and others. Delivering targeted responsive copy whether you are selling a product or service… Jonathan’s unique marketing perspective has been shown to outperform current controls. Jonathan currently holds and has held several controls (dominant selling ads) selling a wide-variety of products/services that have been translated, published and sold in English (Australian, British, American), French (France, Quebec-Canada), Japanese, Korean, Chinese, Spanish (Spain, Argentina, Chile, Mexico, Belize), Portuguese (Portugal, Brazil), Swedish, Finnish, Norwegian and Russian. *Newly added: Arabic and Farsi. Or … Just click here and you will be guided to a page with a confidential evaluation.